Aloha! 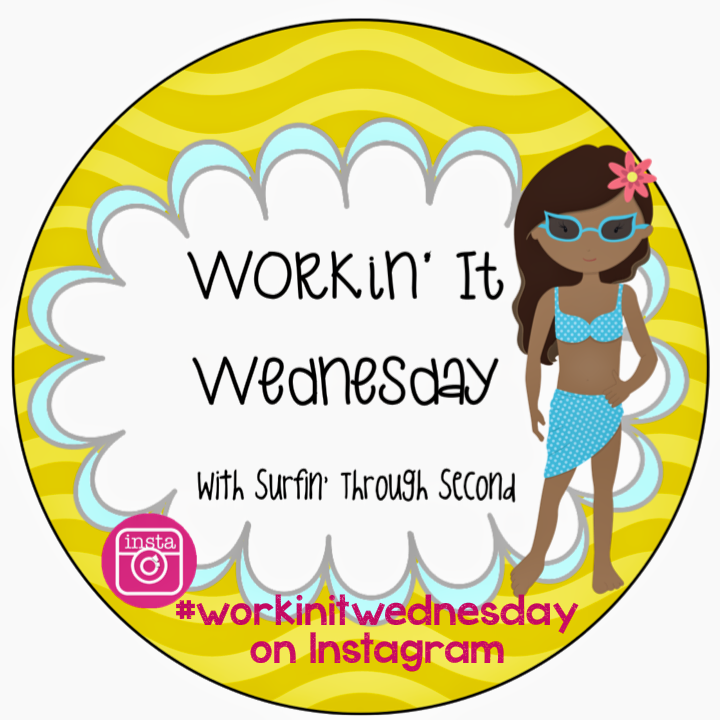 Wednesday again? I am a little upset that my summer is at it's midpoint. Where has my vacation gone!? This week I have a hodgepodge of things that I have been Workin' on. 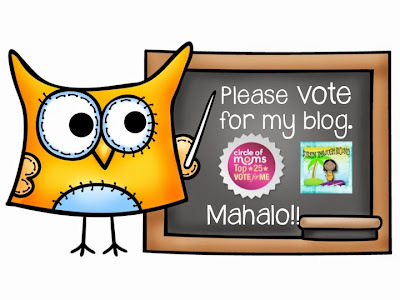 The first is promoting my blog for Circle of Moms Top Teacher Blogger contest. There are only 6 more days left until the contest ends. Right now I am sitting at 96 votes. Not bad, but I have 700 people following me on Bloglovin' and over 1,000 on Facebook! If I could just have all my fans vote once I would be so honored! Just click on the cute owl above to take you to the voting page. 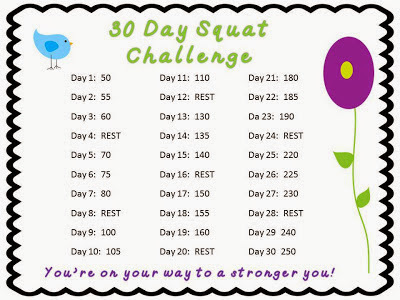 This week I also started my 30 Day Squat Challenge. Lori blogged about this and even made a great chart to use. I get such a great upper body workout surfing, but my lower end is not too happy! Click on the picture to take you to her post. I have made my own lesson planner. It is not as fancy as some others, but it is perfect for what I need. It has lesson plans, a calendar and a grade book. Once I finish the final touches and get it printed out and put together I will share. Are you like me during summer break? I have quite a bit of time on my hands and I tend to shop quite a bit. These are a few items I have purchased that I am enjoying. I don't have the luxury of having a separate office to work. I have my laptop and I sit on my comfy couch when I create. I finally decided to stop using a book on my lap and bought myself this lap desk. I wish I had purchased this long ago!! 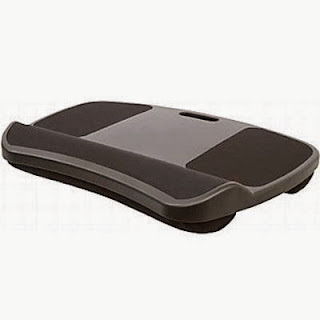 It is so comfy on my lap and it has room for a wireless mouse which is on it's way!! 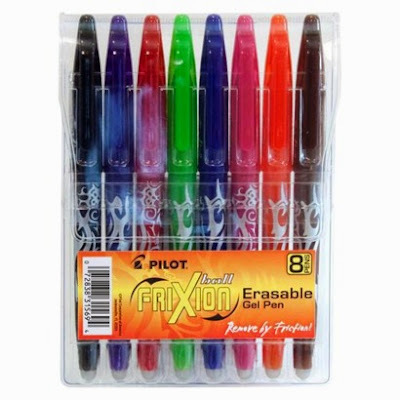 I also got these babies yesterday and I am excited to be able to use them in my new planner. 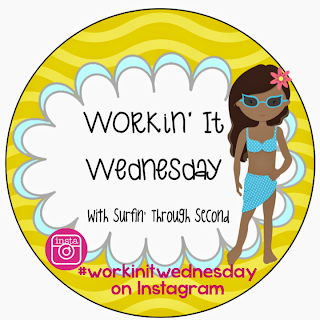 I can't wait for you to link up below or share out on Instagram! I voted for you.....good luck ! Thank you for the shout out, Corinna! I appreciate that. :) I love the look of your planner! I voted for you too! Now you are at 123. Thanks for posting the squat challenge - sitting at the computer too long definitely doesn't help the bottom half! LOL! Thank you so much for your vote Kelly! I feel the same way Courtney. I only need a few specific items and I hate to waste anything:) Mahalo for such a sweet compliment! Just voted for you! I adore your blog and your TPT store is amazing!!! You have such great products. I'm a huge fan!